Watch the weather reports on the TV or radio regularly or check out the Met Office weather warnings system to see if your area is at risk. Don’t just rely on previous experience; new buildings and unusually high rainfall may affect your area even when you don’t expect it. For regular updates you can call the Environment Agencies floodline on 0845 988 1188. They’ve also got a fantastic fantastic map which shows you the countries flood defences and areas that are likely to be at risk. If you find that your home is at risk take precautions to look after your family. Prepare an emergency bag of warm clothes, torch, valuables, mobile phone, and essential medicines that you can take with you in case of emergency. Also, pack some strong waterproof/plastic bags to protect your possessions from water damage. If you do find yourself in a property needing evacuating, turn off water and power. Move valuables to upstairs rooms. If possible empty the fridge and freezer. Follow the directions of the emergency services and always consider people before property. On returning to your home check that wiring is safe before turning on, if your property’s been flooded it’s best to get the advice of an electrician. If you regularly find your home floods you may already have a plan in place and sandbags on site, if not they may be available from your local council in advance of bad weather. Living on a flood plane is likely to affect the cost of your home insurance so it’s a good idea to check where these lie before you buy. Avoid driving on roads that are likely to flood and try to avoid entering flood waters, the depth and current may vary. If you have to walk through water, avoid touching electricity sources. Always call 999 if you feel that you’re in danger. 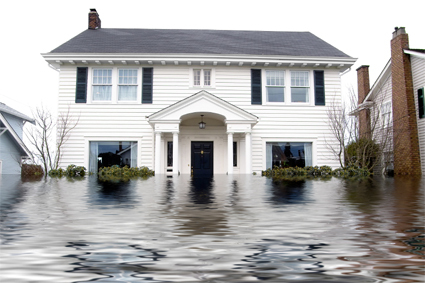 Contact your insurer immediately if you’ve been flooded. Home insurance is there to help you sort out the mess and provide financial assistance to put it right as soon as possible.